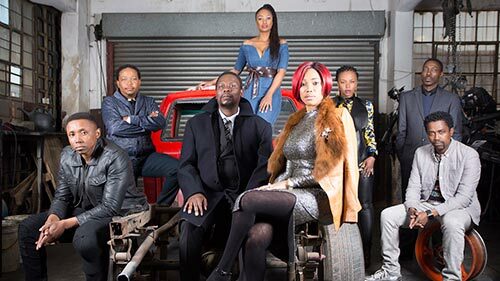 iNumber Number is a South African television drama series based on the film of the same name, which follows a policeman who infiltrates a crime family to bring his estranged father to justice - only to find the father he has always wanted to have. As in the film, the heartbeat of iNumber Number remains the relationship between Chilli and Shoes, whose brotherhood bond comes under a dangerous threat. In the series, Chilli infiltrates an infamous crime family to bring down the untouchable patriarch. We soon realise Chilli's motive is not just professional - it's personal. Gad is a hugely famous comedian... in France. At an emotional crossroads, he leaves it all behind and moves to Los Angeles in an attempt to reconnect with his estranged, comedy-hating, 16-year-old male model son. Sadly he'll have to do it without a single celebrity perk. In this unique series, street magician, illusionist and mentalist Ryan Tricks uses his mind-blowing abilities to brighten up people's lives. Featuring a collection of exclusive tricks specially commissioned for this series, social media sensation Ryan travels around London - and his stage is wherever the mood takes him. 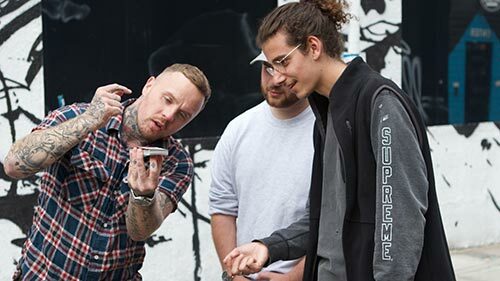 From performing tricks to a group of young mums to soup kitchen staff, he works his own unique brand of magic on a diverse range of young people who really deserve a little lift to their day. Special is a series about a gay man, Ryan, with mild cerebral palsy who decides to rewrite his identity and finally go after the life he wants. 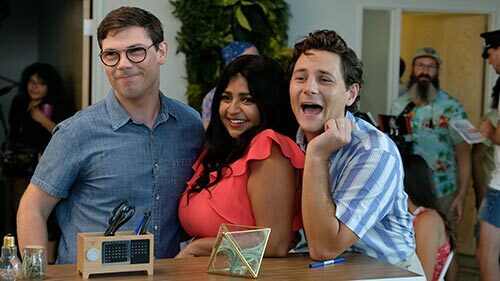 The offbeat comedy is based on series creator and star Ryan O'Connell's memoir, "I'm Special: And Other Lies We Tell Ourselves." Investigative journalist Ross Kemp travels the world talking to gang members and people who have been affected by gang violence. He also meets with the authorities who attempt to combat the problems. In each episode Ross attempts to establish contacts within the gangs who can arrange access and interviews with the gangs' notorious and difficult to pin down leaders. Four new working mothers and friends deal with the struggles and nuttiness of returning to work while trying to balance their family and love lives. In the Season 2 premiere, "2005": a 25-year-old, single, workaholic Kate wants nothing more than for her friend Anne to be happily married... but both she, and Anne, are having last minute doubts about the future of her union. Kate, on the other hand, has zero interest in marriage, preferring to attend Anne's wedding with a 'separated man,' much to her mother Eleanor's chagrin. But the night is young, and chance meetings can change one's life.